Do you have any other suggestion for keyword research analysis software? I prefer web based because I have so much software on my desktop as it is. But I'll go either way if it's a good research anaylis software. >Do you have any other suggestion for keyword research analysis software? For keyword research I usually use the free Digital Point keyword suggestion tool or a subscription to WordTracker. Both of which are online tools. The Digital Point tool gives limited access to WordTracker, and also compares that data side by side with the Overture keyword suggestion tool. Keyword Discovery also has a proprietary database of search terms. I have not used it much, but I believe it is similar to WordTracker. For generating lists of keywords I use the above tools to get my root sets & ideas (as well as sometimes asking questions, looking at pages, trying to find semantically similar terms, see what searches some of the search engines like Teoma and GigaBlast recommend, etc), and then plug lists of words into software such as ThePermutator. Also for keyword research HitWise will likely launch a product called Keyword Intelligence soon which, like HitWise, uses data from about 25 million users. 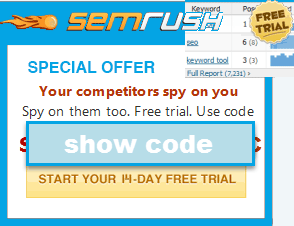 Here is a cool free keyword research tool. It is web based and cross references many of the tools on the market.